While enjoying the natural wonders surrounding the Hyatt Regency Lake Tahoe Resort, Spa and Casino, experience the perfect destination to connect with family - and yourself. Just a few miles from Carson City and Reno, this premier lakeside resort has direct access to a private beach in Incline Village; in winter, a complimentary shuttle service goes to 2 ski areas that offer snowmobiling, sleigh riding, sledding, and snowshoeing. The bar at the end of Hyatt Regency Lake Tahoe Resort's 275-foot floating pier is a great spot for watching the sunset reflected on the lake before it slips behind the Sierra Nevada Mountains. 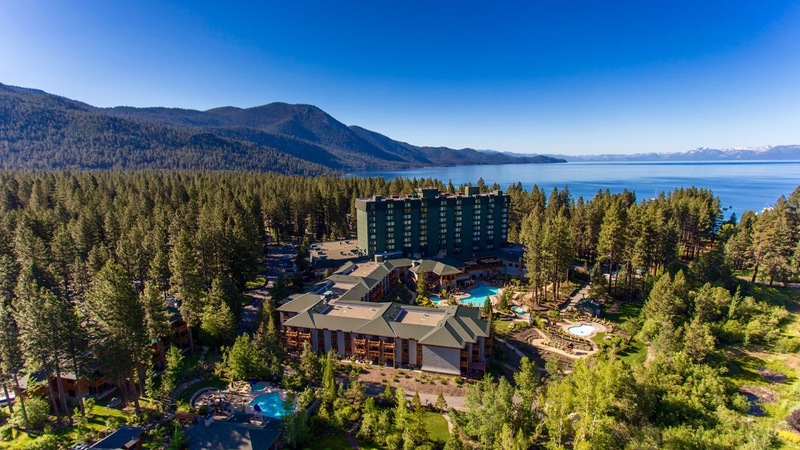 Each guestroom at Hyatt Regency Lake Tahoe has rustic-style furnishings including pine-log headboards and leather chairs; picture windows offer views of the surrounding Sierra Nevada Mountains or Lake Tahoe.